I don't know exactly when I first discovered ModCloth, but I do know that my life hasn't been the same since. And by that, I mean that it's been WAY BETTER!! Why? They have amazing, almost-one-of-a-kind clothes, some of the funnest jewelry of all-time, super-cute home accessories, and tons of quirky things that you can't find anywhere else. So basically, what I'm saying, is that if I lived anywhere close to the head office, I'd be camped outside, all decked out in my ModCloth gear until somebody gave me a job (although maybe that wouldn't be a good idea because I'd end up re-investing each paycheque, which would leave me well-dressed and accessorized but probably homeless). Even when the shipping to Canada was bananas, I still saved my pennies and splurged about once a year (note: it's way more reasonable now, so nicely done there, ModCloth). Okay, so we've established that I'm a mega ModCloth fan, which could have justified a mad props post alone, but something happened with my last order that DEMANDED some public recognition. When I recieved my cheque from the drug study I had participated in, I knew that I wanted to use the money to get something awesome (because the study didn't go so well and I wanted to turn a bad thing into something pretty). So, naturally, I ended up buying a whole bunch of stuff from ModCloth and when it arrived, I swear I was so excited that I probably should have been wearing Depends. But who could blame me? Just look at what I got! Faux animal heads. Click here to see what I did with them! And then there were these Follow My Lede Flats, which were the first snag in my otherwise awesome box-o-wonder. Now, as you can see, there was a wee problem with the flats because...well, the left one was telling me that (a) I had a gut and (b) I needed to lose it. 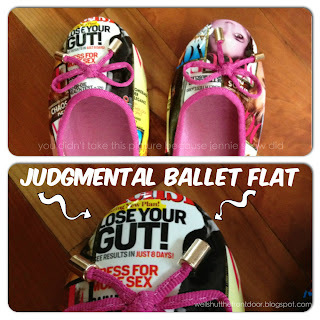 Like most women, I'm slightly sensitive about the whole weight-thing, so the LAST thing I'd ever want is a ballet flat that tells me I'm fat every time I look at it. However, since I knew that it was a random magazine pattern, I wasn't sure that I'd be able to return them because technically, nothing was "wrong" with them (although what the heck is a Men's Health magazine cover doing on women's ballet flats in the first place? Just sayin'). Then, as I went through everything else, I noticed some weird black marks on the There's A Map for That Necklace (that looked like badly-placed capital dots) and the Sir Ring Thing broke when I put it on and closed my hand. I checked out the ModCloth return policy and because I'm an international customer, there wasn't any such thing as an exchange, only a return, and I'd be responsible for the shipping, which was a total bummer. I hummed and hawed for a while, wondering if it would even be worth me sending everything back and then reordering replacements, when I eventually decided to call the ModCloth Customer Care line to inquire about what my best options were. And that's when I fell even more in love with ModCloth (and to be frank, I can't believe that it was even possible because I loved them so much already!). Ashley B., the agent I spoke with, was pretty much the coolest woman ever. 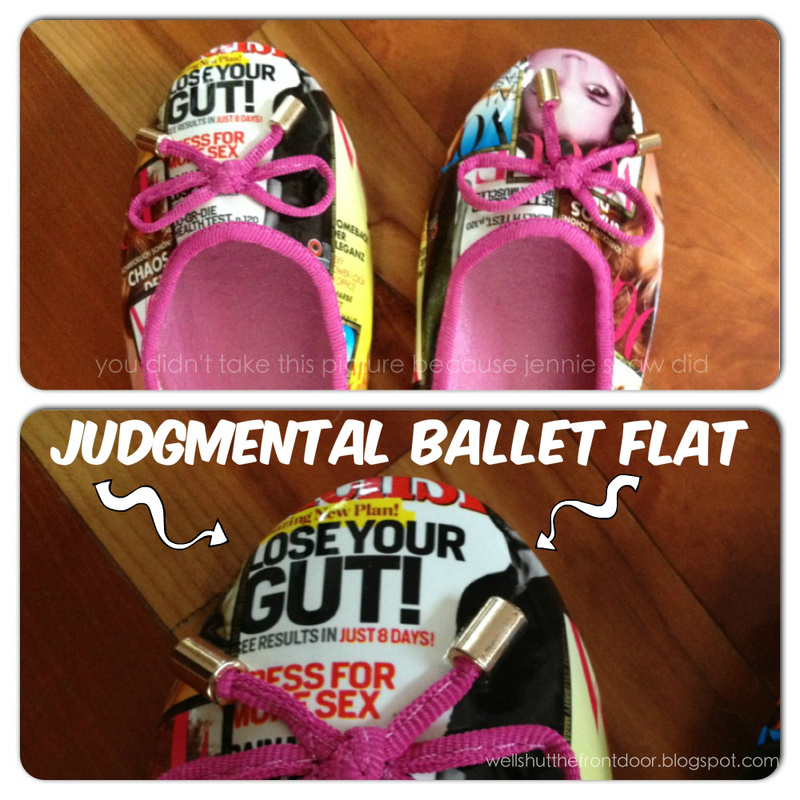 She not only TOTALLY understood my issue with the judgmental ballet flat, but she also cracked a few jokes of her own about it! JOKES! FROM A CUSTOMER SERVICE REP!! IT WAS AMAZING! And, by the end of our very enjoyable conversation, she said that she'd send me new versions of the flats, necklace, and ring! Plus, I didn't even have to send the other stuff back!! And they would even reimburse me for the extra duty I would have to pay! Ashley said that she'd send the new items out right away and, sure enough, a week later I got another ModCloth package filled with perfect replacements, which made that particular day the best Thursday ever, obviously. 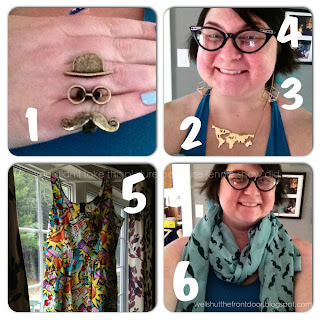 So, for going the extra mile with ah-may-zing customer service, I hereby award ModCloth (and Ashley B.) 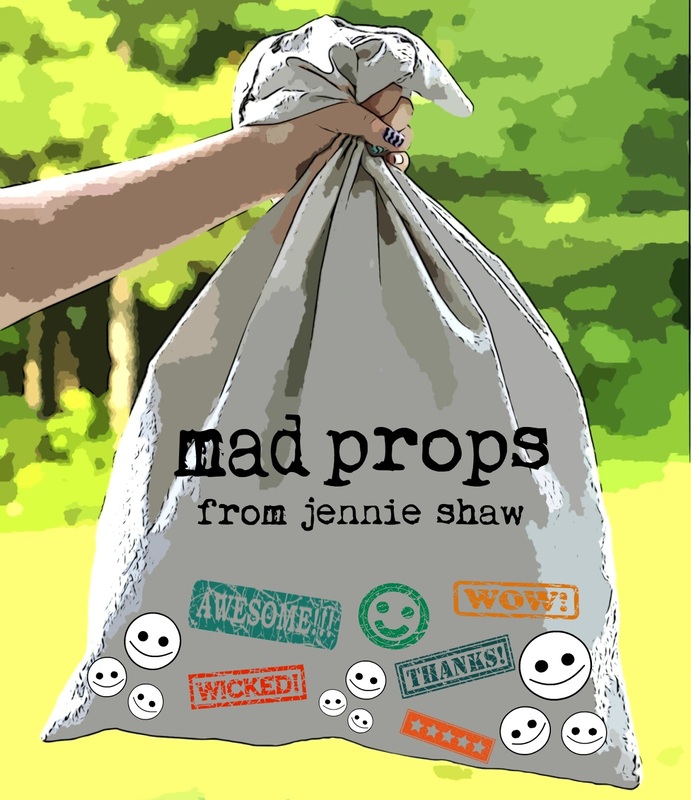 with a massive bag of mad props because it I wasn't already a customer for life, the way that Ashley handled my issues would have totally sealed the deal. And if you're ever in the market for an adorable outfit with just the perfect amount of quirky-fun-ness, make sure that you check out ModCloth because there's a pretty good chance that you'll find exactly what you're looking for (and some other cool stuff, too). Plus, you know that if there are problems with your order, the Customer Service team will do whatever they can to make it right. 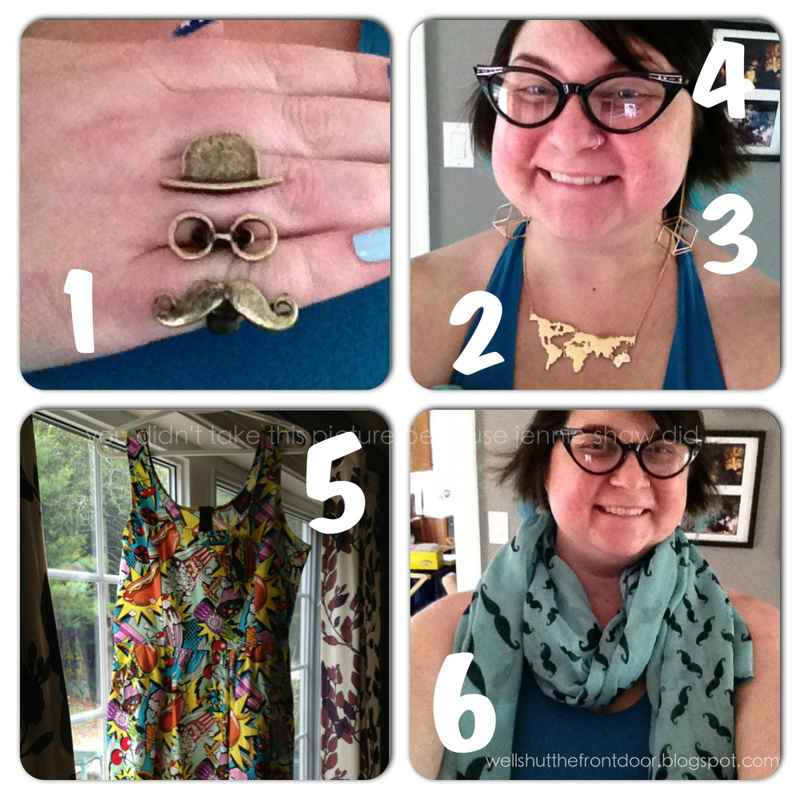 Thanks for being awesome, ModCloth! Have you had a fantastic customer service experience? Email me and tell me all about it so we can send them some mad props! Let's make it happen, guys, because giving out bags of mad props is awesome! Ha! I have never shopped with them due to the international shipping woes of living in Sweden but while I am here in CA maybe I should check it out! That's awesome! I've never shopped Mod Cloth and now I think I will have to check them out. Customer service is EVERYTHING.